WELCOME TO PERTH AQUA PARK. WE ALSO HAVE A WAKE PARK. Make a booking online to avoid disappointment. Head to the BUY TICKETS page to make a booking. Sessions are 50 minutes long and are patrolled by our friendly team of lifeguards. 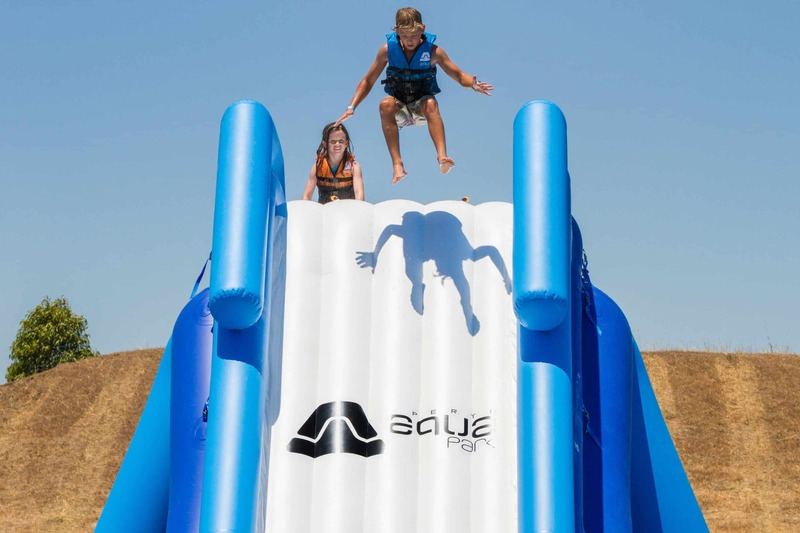 Perth Aqua Park is located at Perth Wake Park in Baldivis, 30 minutes south of the CBD at the Mundijong Rd freeway exit. • Minimum age is 6 years old. Kids 6-9 years old (under 10) MUST be accompanied on the obstacles by a paying adult (maximum 4 kids to 1 adult). This involves electronically signing an ACKNOWLEDGEMENT OF RISK, WARRANTY, RELEASE AND INDEMNITY. You cannot have fun on the park until you have signed and agreed. A parent or guardian MUST fill out an agreement for anyone under the age of 16 years old.